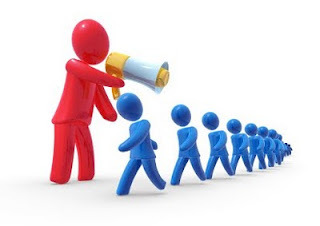 Are you in search of a leader? Have you waited your whole adult life for someone to tell you when to wake up, when to eat, and when to move? Do you long for the ‘security’ of never having to think for yourself again? I will not dismiss the possibility of someone answering “Yes” to those questions – but I’ll wager that the vast majority of people are making faces and thinking “Of course not!” when reading them. Yet, the majority of those people have probably bought into the idea that their horse is looking for a leader, that they even crave leadership. 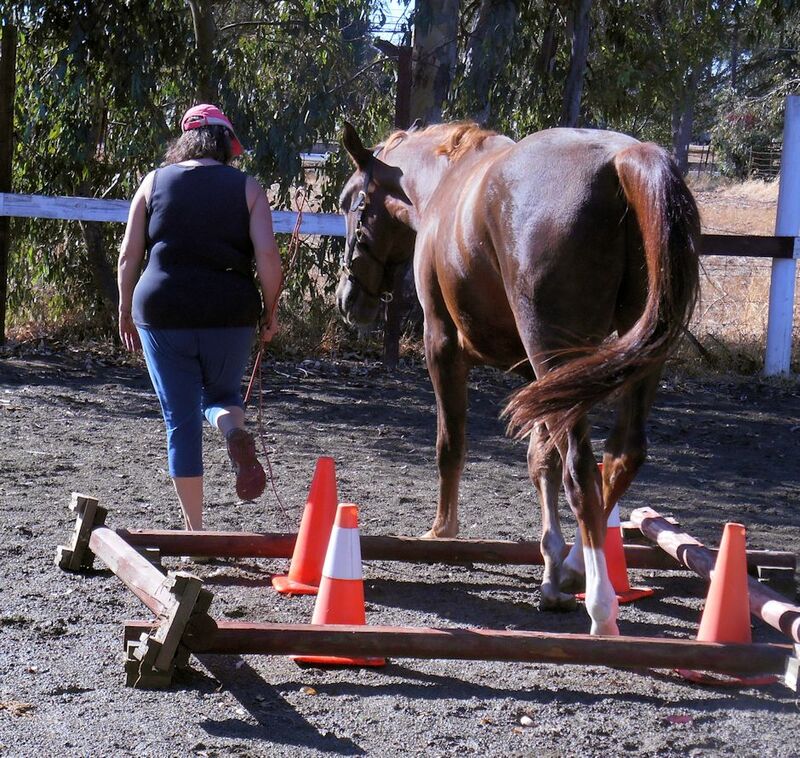 It is that very premise that is at the foundation of so many modern training programs – and it is just as crazy to assume your horse wants that as it is for me to believe that is what you want in your life. Leadership comes in many forms – parent, teacher, supervisor, even co-workers and friends can take leadership roles at times. 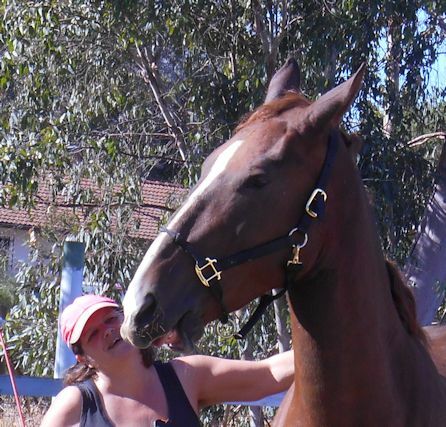 There is no doubt that we put ourselves in a leadership position the moment we get a horse. But this is not something the horse has sought – it is more like the teacher when you first went to school, or the boss when you take a job. It is a hierarchical situation that creates, by its very nature, a leader. You have control over your horse’s life – when he goes out, when he comes in, when he eats, etc. It is exactly because we have that enforced leadership over the horse that we should strive to view the rest of the relationship in more democratic terms. When your friend suggests a night out, and takes the initiative to make the reservations necessary, that is a form of leadership. Did your friend have to first assert to you, “I am taking leadership now! You must accept me as your leader!”? Likely not. Multiple ethological studies have shown that the movement of a horse herd can be initiated by any member, and there is little weight toward any given member of a herd. Any horse can decide that it is thirsty, and by moving in the direction of the water hole, start the movement of the whole herd. Social groups thrive in this way, as everyone shares the leadership burden. My favorite story of fluid leadership was a trail ride with our Ben and BJ (Dani’s mom). We found ourselves on a narrow trail along a creek, where single file was the only real option. Periodically we would encounter something that stopped the lead horse in their tracks – a boulder, a log, a funny shaped stump. Whomever was in the lead would abruptly stop, snorting and worrying. The one behind would come up, have no issues passing the scary object, and we would proceed … until the next oddity cropped up! Four or five times we did this little dance (causing my mother and I no end of amusement), always with the horse from behind being happy to take the lead. My only conclusion is that each horse was happy to be the leader, but only for a certain amount of time, and then they wanted a reprieve. As the anecdote above seems to illustrate, leadership can take a toll on the leader. It takes strength, courage, wisdom, and energy to be a good leader. How many really want that burden, all the time? Add to it any situation where the safety, health, happiness, and success of your followers is riding on your leadership – and it is a cold person who does not feel that burden. So, then why would we feel that our job with our horses is to be the 24/7 leader in the relationship? Why would there not be situations in which we would allow for fluid leadership, and let the horse lead for some time? It relieves your burden, provides confidence building for your follower/horse, and might even save your life. I have been in several situations where throwing control to my horse led to a safer outcome for both of us. Had I enforced my leadership upon them, at all times, I do not think those outcomes would have been so good. By giving them agency to make decisions, on a regular basis, they were able to do it when it counted most. The horse in your pasture who drives the others away from the food is not the herd leader. He may have a domineering personality – or just a background of food deprivation – that causes him to behave that way. Where food is readily available, no such dominance displays exist, except among stallions battling for mares (another situation of a discreet resource). Rarely do the rest of the horses choose to follow the one who chases them – they are far more likely to avoid that horse. If avoidance of you is your desired goal with your horse, then by all means take the “the one who moves the feet of the other is the leader” approach. Think of great leaders in history, who had no control over their followers, yet had them just the same. Jesus, Buddha, Gandhi, and Martin Luther King Jr. come immediately to mind. Whatever you think of these men, there is no doubt that they had the ability to draw loyal ardent followers. 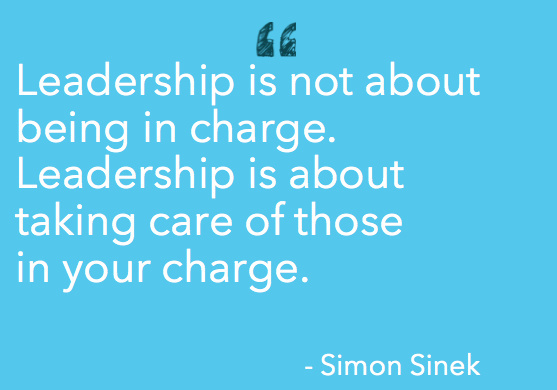 On smaller scales, everyday leaders inspire others to follow them. It may be a shared cause, an inspirational message, or just an alluring activity – but everyday people inspire others to follow them, without the need to declare themselves a leader. It is not generally difficult to be an inspirational leader for your horse. First, be someone your horse likes. Counter to what many will tell you, that means being nice. Scratch where they have an itch, feed treats when you want (everything in moderation), take walks where you are just exploring together – no stress, no learning, just peace. Remember that you are in both a parent and teacher role, in that you are trying to “raise” a citizen who can live in human society politely and safely. So, manners are certainly important. Teach them what is allowable and what is not. But this does not require that you “let them know you are the leader.” If you are the right sort of leader, they will decide that for themselves. A young Noble following because he wants to. Contrary to an oft stated position, horses are not seeking a leader, any more than you are. However, we all have times when it relieves a burden to have someone else make a decision for us. I once heard a dog trainer say that the dog does not want to be your leader, or to dominate – but in the absence of a leader, they will act for their own safety and comfort. There is no doubt that having someone take the lead offers a level of comfort. But the best leaders, whether of humans or animals, realize that if leadership is forced upon others, you will not get the best from them. Good leaders realize that they must both gain and give trust in order to create a relationship that is of the greatest benefit to both parties. Instead of making your horse accept you as leader, try becoming a leader your horse will naturally want to follow. This entry was posted in Thinking Out Loud and tagged behavior, dominance, equine behavior, Horse training, horses, leadership. Bookmark the permalink. 3 Responses to Searching for a leader? Parent and teacher….very apt comparison. I’d love to hear the story about the time you let your horse take the lead in a tricky situation. There have been a few Megan … good subject for a future post. Thanks for the idea!